Will Alcohol Kill Bed Bugs? Do you think you might have a bed bug infesation? If you have unexplained bumps that showed up overnight, found tiny exoskelentons hidden in your sheets in the morning, and you used a flashlight to find little bugs on your mattress, you are likely dealing with the dreaded bed bug. At first sign of an infestation, people often Google a variety of DIY methods. Do heat treatments work? Can you vacuum them away? Will alcohol kill bed bugs? Today, we answer the last question. Yes and no. 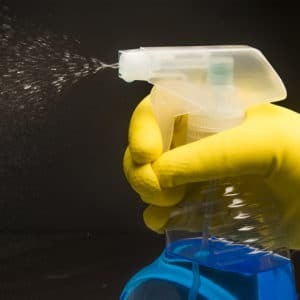 Rubbing alcohol can kill bed bugs and eggs, but it’s not likely going to take care of your infestation. It kill insects by dissolving their cells and destroys eggs by drying them out. When sprayed, rubbing alcohol can discourage the bugs from crawling and laying eggs on the treated surface. Here’s the bottom line: It’s not effective enough. Rutgers University conducted a research study in 2013 about the effectiveness of alcohol killing bed bugs. They discovered half the bed bugs sprayed with rubbing alcohol were still alive after four days. You don’t want half of your infestation gone…you want no survivers. That’s why the alcohol method isn’t your best choice against bed bugs. Don’t Deal with Bed Bugs Alone. Bed bugs might be small, but they are a big problem. The good news is that you don’t have to deal with them on your own. 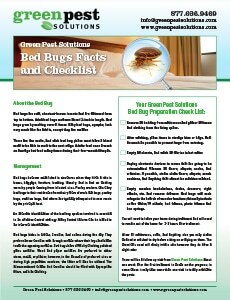 The pest professionals at Green Pest Solutions have dealt with the dreaded bed bug before. If all else fails, or if you want to take some preventative measures to stave off another outbreak, please consider giving us a call to schedule a free consultation. Contact us today at 877-636-9469.